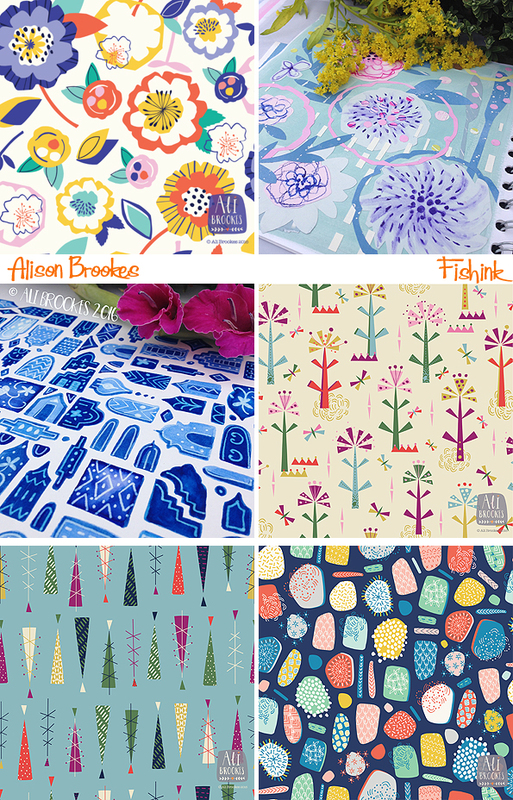 I’m delighted to give my blog space over to a talented designer for this week’s post. 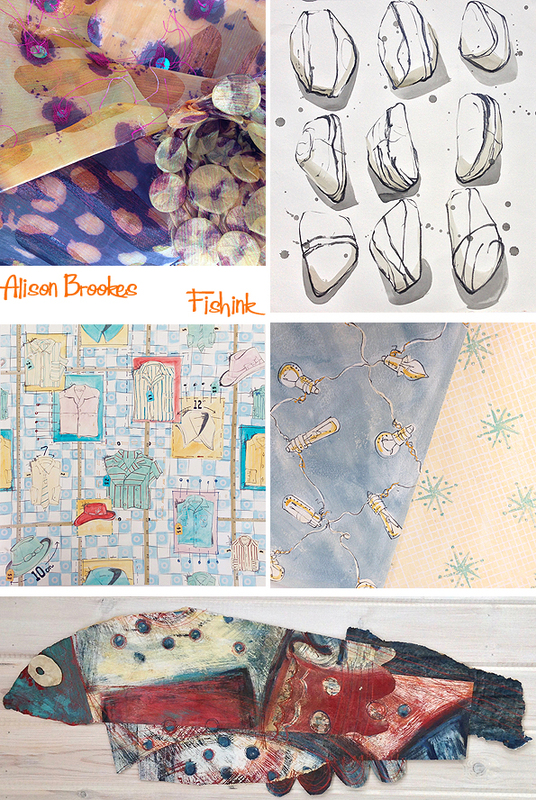 I met our guest artist, Alison Brookes many years ago when recruiting freelance designers to work for different sectors of the textile/ interiors and gift-ware markets. I have always been impressed by her professionalism, organisational skills and of course her beautiful textile design work. We recently rediscovered one another through social media, and it’s been great catching up on the time in between. So without further ado.. Ali please take it away! Hello! 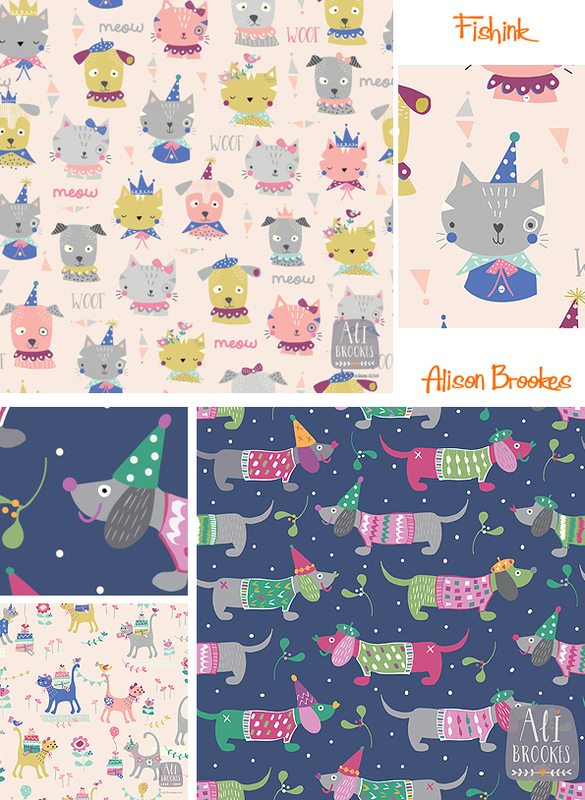 I’m Ali, and I’m a Surface Pattern Designer from Northamptonshire, England. I’m a curious person with the habits of a magpie, and I like nothing more than a colourful image. I loved drawing as a child, but I probably loved fabric more. There is something about patterned fabric that sets my heart a flutter. So it wasn’t a surprise to my family that I followed my heart and studied for a degree in Textile Design at Derby University in the mid to late 90s. I loved the freedom that my degree offered and the time to develop into a designer. It allowed me to experiment, take risks and think about things in a different way. This approach is probably why when I left university I had developed a range of styles. I love combining various media and techniques: collage, machine embroidery and painting. The design influences forged at university have stayed with me throughout my design career. I have collected new ones along the way, but I’m still a big fan of 50’s design, particularly anything by Lucienne Day. I still admire Paul Klee, Rothko and Tricia Guild for their use of colour. Also, I was fascinated by how Annora Spence and Mary Fedden painted and how they composed their images. Today, I love how social media sites like Pinterest have opened up instant avenues of inspiration and the discovery of new designers and artists that would have taken years to find otherwise. My next job was working in a studio at a company that produced transfers for the glass and ceramic industries. Here I worked with some of the industries oldest and greatest companies such as Royal Worcester and Denby. I learnt a lot about screen-printing, which has influenced my design process today. I also gained an appreciation of ceramics and their role in history. The next phase of my life was being a full time mother to my three children, and my design career was put on hold. However, I never stopped looking for inspiration, and I took up knitting to fulfill the creative gap left by leaving my career – I knitted a lot of socks when my kids were small, and my children have an appreciation for a good yarn shop! I found that knitting could be put down at a moments notice to attend to the myriad needs of numerous small children, whereas drawing cannot. However, it was during this time that I found an unexpected path that has led me to where I’m today. I never thought I could return to my design career and fit it into family life. Teaching was something I had always considered, and I started working at a Montessori nursery school where my son attended. Soon I had taken over the responsibility of the creative areas in the nursery. I love how young children are spontaneous, and nothing is a problem when it comes to creativity. Then came a stint at a local secondary school in their art faculty, which morphed into an artist-in-residency position. There is something intoxicating about the smell of an art room, and I knew as I started working with these teenagers that I still wanted to design. I loved helping and teaching the students, but I didn’t want to become a full-time teacher, I wanted to be at the end where the kids were: creating. The industry that I had left was now unrecognizable from the one I had previously known. Even the job title had changed! 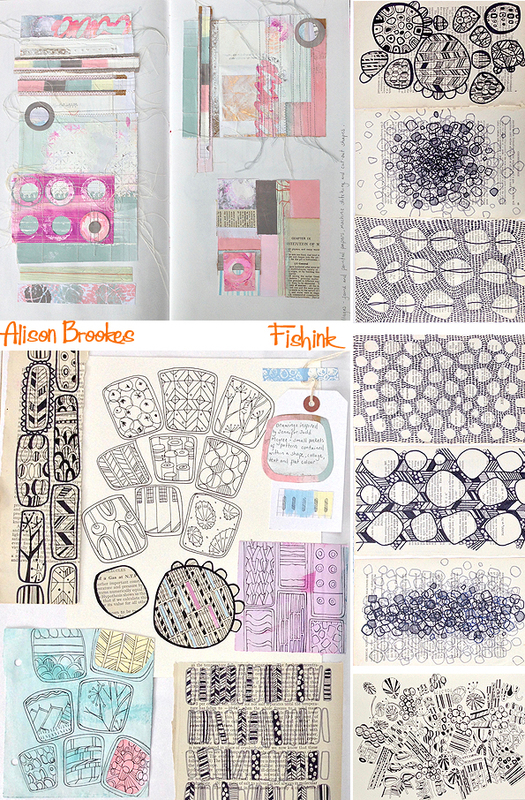 Was I a textile designer or a surface pattern designer? I opted for the latter. In the age of digital design, my patterns could be reproduced on any surface, not just fabric. In the relatively short time, I had been absent the world had changed. Computers, the Internet, social media, and selling sites such as Esty had made their appearance. I had little computer experience and zero social media know-how, and what was a Wacom tablet for heaven’s sake. I didn’t even have a Facebook account until February of this year – I know, I joined the party late! I embraced these changes and used the Internet to search for an answer to how I was going to update my skills. 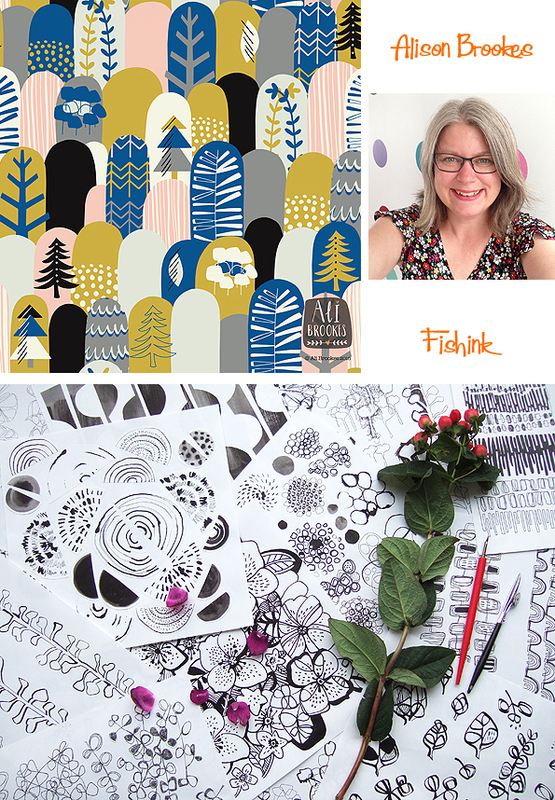 I joined Skillshare and did a few online courses such as Jessica Swift’s Pattern Camp and one of Rachael Taylor’s The Art and Business of Surface Pattern Design courses, found my ‘tribe’ on Facebook, and started showing my work on Instagram. I still begin a project by drawing, but I love using the computer to put everything together into a pattern. I like the speedy nature a computer gives to changing layouts and colour choices – the possibilities are endless. I love designing in repeat. It’s like doing a complicated puzzle, and I relish the challenge of trying to fit everything together in a pleasing and harmonious way. So what’s next? My new website will be online shortly, and I will be approaching agents with the intention of establishing new working relationships. Continuing to discover the complexities of Illustrator and Photoshop every day and building up collections of patterns is an ongoing process, and at some point, I will be working on some one-off collage pieces. Oh, and I’m moving from working at the kitchen table and into my studio, aka the garden shed, because everybody has got fed up with finding bits of paper in their dinner ! Many thanks to Ali for agreeing to treat us all to a viewing of her wonderful work (readers I’m sure you’ll agree ). Please leave her your thoughts below and I want to wish her the best of luck for the design path that lies ahead. Do keep us posted Ali. You can check out more of Ali’s beautiful work on her Facebook Page or over on Instagram and don’t forget to follow her too. ← Esso. Put a Tiger in your tank ! Lovely to see your work Ali and inspiring to hear your story, mine is very similar, trying to relaunch my creative career after 3 children and just on the verge of getting myself a studio and taking some courses,both on and offline. You are one step ahead from me on the technology front though…photoshop is on the list! It feels like a mountain to climb back up but you have given me confidence that it is possible so thank you! Well done Ali ! Beautiful Designs. What a great adventure you’ve been on and I love your designs! I took your designs to show my local sewing group who particularly liked the floral designs, the trees, and the dog and cat motifs. We”d love to be sewing with those fabrics !